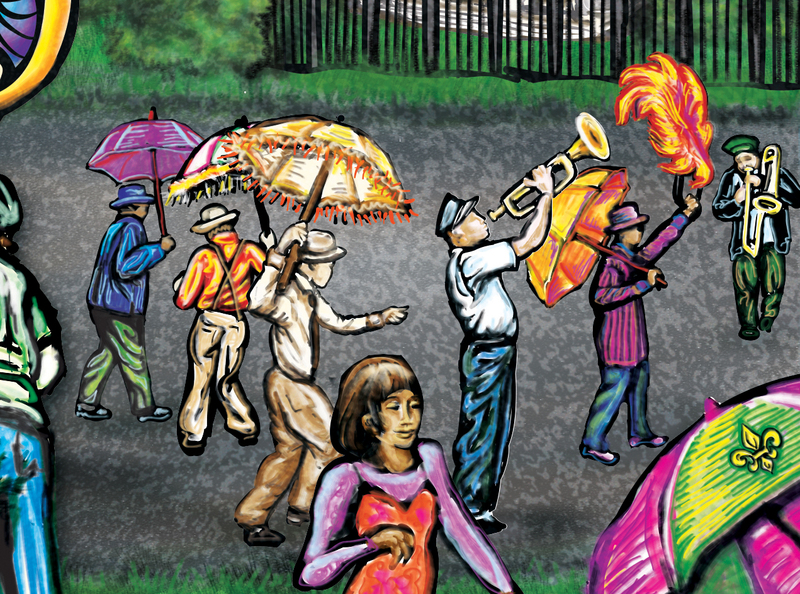 Vector-based illustration. 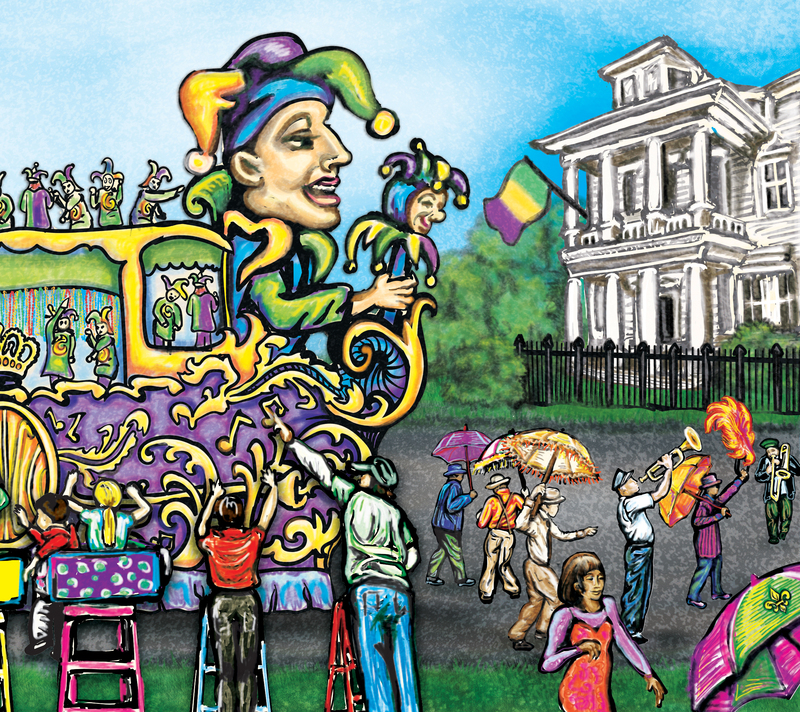 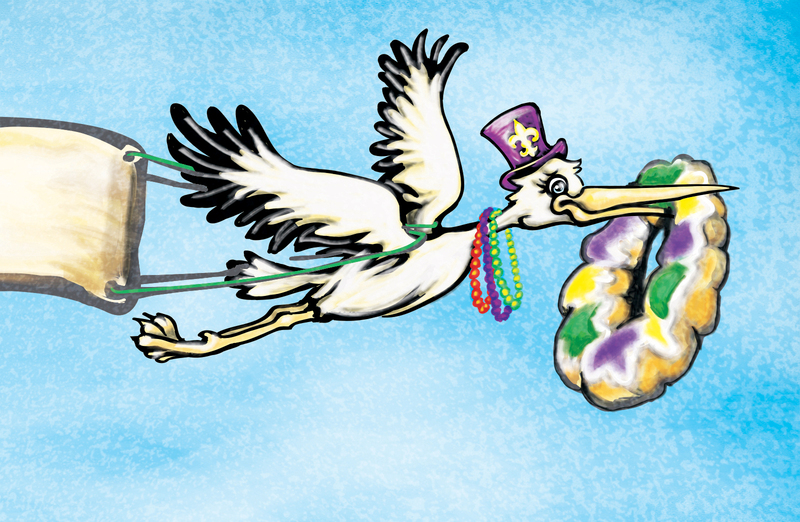 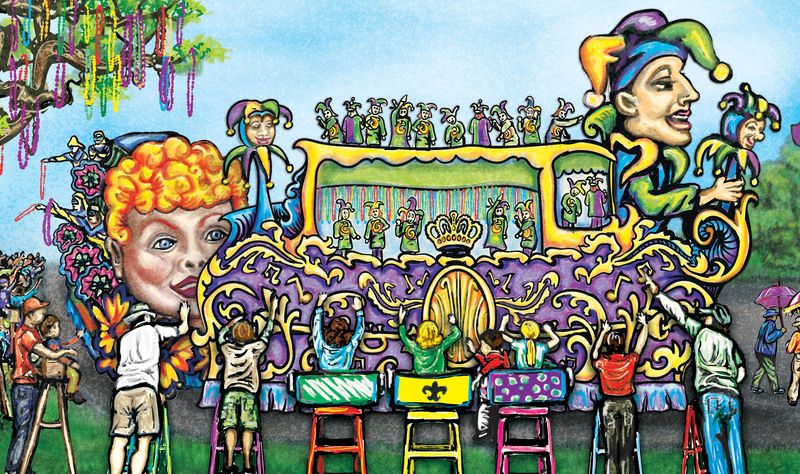 Adobe Illustrator with some finishing in Photoshop on the Mardi Gras pieces. 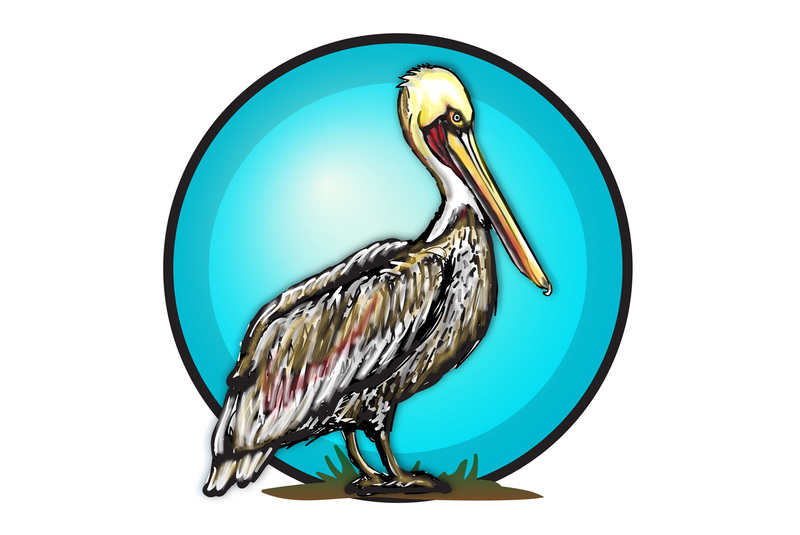 The client was looking for a painterly effect with the flexibility (resolution independent and customizable) of vector work.